Our Specialized 95 Hour Children's Yoga Teacher Training Certification with YOGA ALLIANCE contains: 10 face to face modules (10 full days of training scheduled in any location), 10 online extra support modules to access anytime from anywhere and (FUN Bonuses: 25 hours of mentoring/group coaching sessions with Cezarina on live video as well as a lovely FB closed group/ our visionary community). 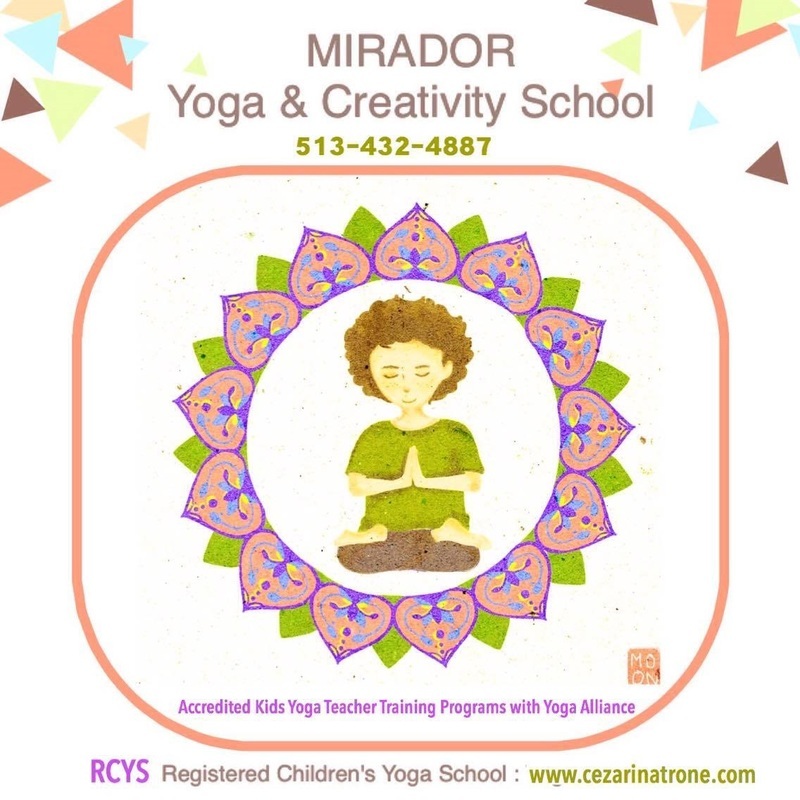 The Mirador Kids Yoga Teacher & Creativity Coaching Training (95 Hour Certification Program Accredited through Yoga Alliance) equips you with kids yoga methodology, mindfulness tools & awareness, creativity coaching tools, confidence, and all the playful energy you need to create the most impact in your work with children as you reinvent new facets of educational leadership.​ Please note that this training program stands alone as a Specialization for Teaching kids yoga for all those who have not taken 200 hour Yoga Teacher Training and you can start teaching kids yoga classes right after graduation (If you are already a RYT 200 - a registered adult yoga teacher with Yoga Alliance, you can add the new designation of RCYT - registered children's yoga teacher -with this training (a couple of steps are required to do so: submitting our certificate of completion online and entering 30 practice kids yoga teaching hours into the Yoga Alliance web database). (Please note that this program stands alone as a Specialization for Teaching kids yoga for all those who have not taken 200 hour Yoga Teacher Training and you can start teaching kids yoga classes right after graduation. (Note: If you are already a RYT 200 - a registered adult yoga teacher with Yoga Alliance, you can add the new designation of RCYT - registered children's yoga teacher -with this training (a couple of new steps are required to do so: submitting our certificate of completion and entering 30 practice kids yoga teaching hours into the Yoga Alliance web database). 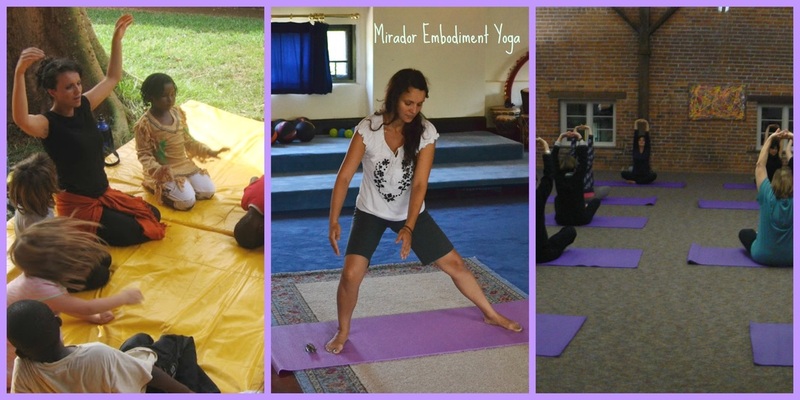 Besides Learning the TEACHING METHODOLOGY for Children's Yoga, Mindfulness & Meditation (from babies to ages 15-16), this program is also an IMMERSION Self-Love Journey and a New Avenue to Bring Expression of your Child, or Inner Child into the Present Moment, to be Loved, Cherished and Creative. 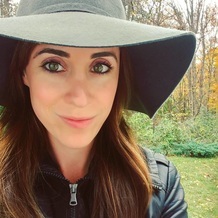 Please note: This specialized 95 Hr Kids yoga teacher training is fully accredited with Yoga Alliance and it brings you the tools needed to teach kids and families (from babies to age 16) and then more... Call Cezarina at 513-432-4887 for a free consultation to determine if this inner transformation journey is for you... This is for you if you would like to sink into the beauty & the mystery of each experience when teaching or practicing yoga to children...but you have to be daring and passionate, to think outside the box as you take this magical journey to embody that childlike sudden inner expansion to move things forward energetically. 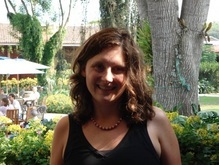 Later came the realization that it was not enough to go out and try to empower others through yoga and life coaching sessions because one has to fully embody their magical inner child & their cosmic heart connection to be able to transmit the purest vibration of joy, and in this way the recipients can blossom into their own Brilliant Co-Creators of a New Earth. 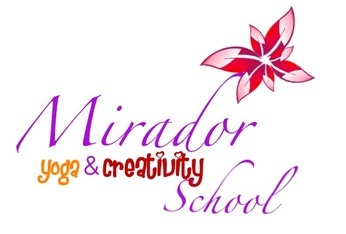 This training takes you through a fun and super creative MIRADOR Yoga embodiment journey of your own creative life ( using yoga games, stories, dance, art therapy and more). Just bring your sense of wonder and awe!